these uniseals are very clever and work great ! These are well built with quality product. Worked great for off grid septic . I used them to connect drain pipe to a 330 gallon tote tank. Worked perfectly. It was a bit hard to get the pipe thru the opening. I used 3” schedule 40 pipe. This product is good quality and correct in sizing. I've used these in the past, so they were my first choice to use for another project. Fantastic seal. Used these making a multi-barrrel Koi filter system. I have never used them before, but was disappointed in them. I used 6 of them, but had leaks around 2 of them after 2-days. I had to drain and dry the system and siliconed around them inside and out of the barrels. I will know tomorrow if my silicone job worked. Worked great. Used for radon mitigation. 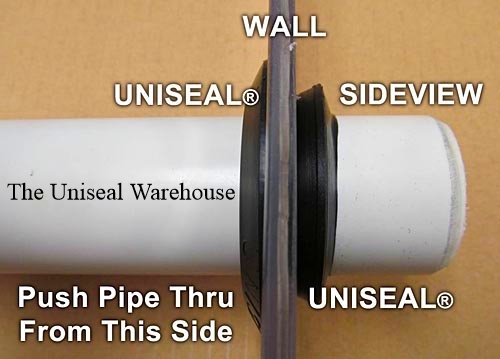 Best Uniseal on the market! 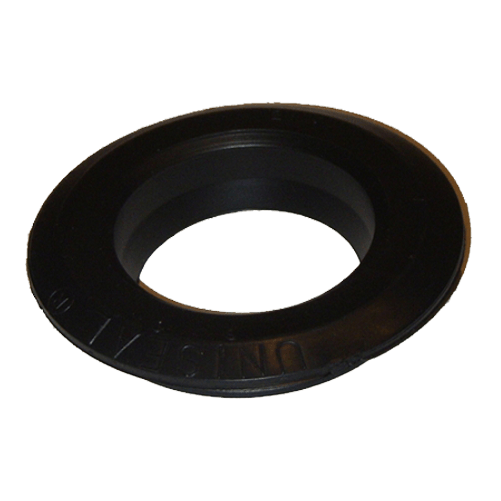 I have used Uni-seals from 1 up to 4 for 6 years and will only use them. In that time I have used at least 100 plus and I have not had a single leak. Best product out there for Aquaponic systems, tanks and grow beds. Highly recommend them. The concept is good, I''''m sure, but I found it VERY difficult to push the ABS pipe through (even with plenty of recommended dish soap), and there is still a leak between the Uniseal and the tank. These are perfect exactly what I needed! I''''''''m good to grow! This is an excellent, well made, top quality product. Beats a bulkhead anyday - so cheap and effective :) On these 90mm ones I grind slits about 1cm down around the end and also round the edges. Then I use vegetable oil and it goes in like a glove. Use a 102mm hole saw. Fast shipping, worked exactly as expected with no leakage in our 55 gal drum DIY pond filters! 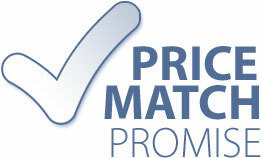 Shipping was prompt, product performed exactly as expected, price was competitive. Great experience overall. Q: Hi, is this a soft or rigid material? I am looking to pass a 3" OD pipe through at a slight angle. A: It's soft, but not so soft that it will allow fluid to leak out. Soft enough to accept the pipe, then use the pressure from the pipe to form a compression fit around the hole. Q: Do you have a table of pipe o.d. 's that your product requires? Instead of a pvc pipe, I would like to insert an reducing bushing (internally threaded) so that I can screw a plug in & out of it. I'm not sure the o.d.s are consistent from pipes to fittings... Thanks for the help! -John Gilbert.